The story of Japanese involvement in WWII is one that includes a number of amazing events between 1939 and 1945. The Japanese went from fighting against just the Chinese to attempting to practically take on the entire world at the one time. ✓ The Completion of the War Plan. This is a story of rapid expansion, an attempt at consolidation, and ultimately, retreat and massacre. It is a story of honor, of Allied unity, and eventual surrender. The role of Japan in the Pacific War is a part of WWII that cannot be forgotten. The best part of this book is describing Japan's reasoning on starting the aggression, although underestimating U.S. response to a major attack seems to be the understatement of the century. The battles are covered but I don't think justice can be done in so few pages. To me the subject requires much more information to be interesting. 1) How is it possible that American military was completely ignorant of Japanese attack on Pearl Harbor? They knew that the fleet was sailing, they knew that we were a possible target. Was it really incompetence or something more sinister? 2) Why wasn't the first atomic bomb dropped on Hirohitos' head? The first bomb on Hiroshima may be debatable, but the second bomb only 3 days later, on another major civilian target, after seeing the horrific damage done by the first, was unconscionable. We will never know if diplomacy could have worked to end the war without the use of the second bomb. 3) Why wasn't Hirohoto tried for war crimes? Poison gas was authorized by Hirohito in China many times, millions of lives destroyed. 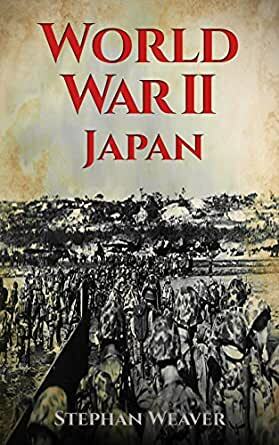 When I first started reading this book, I figured that it would be a typical presentation of the war between Japan and the U.S. and her allies from 1942 to 1945. And all of this is covered well here. But the focus is shifted from most histories that we read here in America. Instead of focusing on our part of the war, and what we did in these years, this book focuses on Japan, and what she did. I read of Japanese generals who are completely unfamiliar to me, and got a better idea of how the Japanese people dealt, or did not deal with the war. This new focus kept the material new and interesting and gave me a slant on the war which was different. Many of the details are the same, but seeing them from this viewpoint keeps them fresh. Thanks for another great book in the hourly History series. The author gets some basic, well-known facts wrong, most notably claiming that the US aircraft carriers were at Pearl Harbor and that the Japanese simply neglected to attack them. The fact that the carriers were out to sea was a huge break that allowed the US to stay in the fight in the early days. The writing itself isn't bad, but could use some editing. The title is also a tad misleading. I picked this up hoping for information about Japan during WW2. Instead, it's just a broad overview of the PTO. Sketchy to be sure, but a good primer for someone looking for a quick and accurate overview of the Pacific war. Excellent review of the war in the Pacific. Though I am 78 y/o, I never really understood why Japan attacked us. This brief book was VERY informative. In 1966 I as a USAF physician during the VN war was almost assigned to Okinawa or Guam. I remained in California! Thank you (again).